Dhaker ABBES, Faycal BENSMAINE, Antoine LABRUNIE, Benoit ROBYNS , COBEP SPEC 2015, Fortaleza, Brazil. 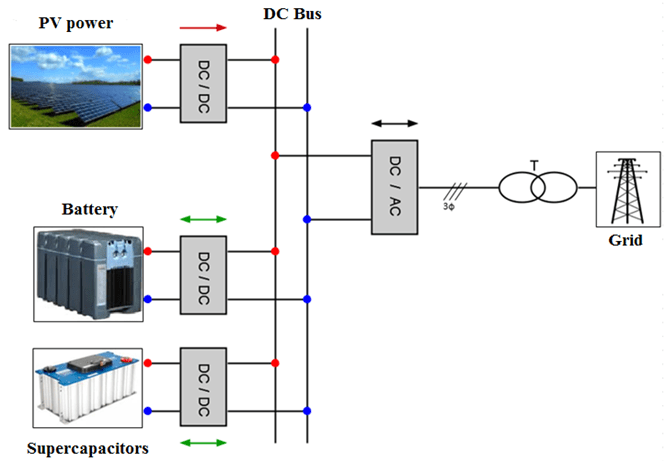 In this paper, a photovoltaic system with hybrid storage connected to the grid has been studied. A smart supervision algorithm based on fuzzy logic has been successfully developed. In addition, a comparative study of different hybrid storage possibilities in terms of batteries longevity has been done using rain-flow cumulative damage method.